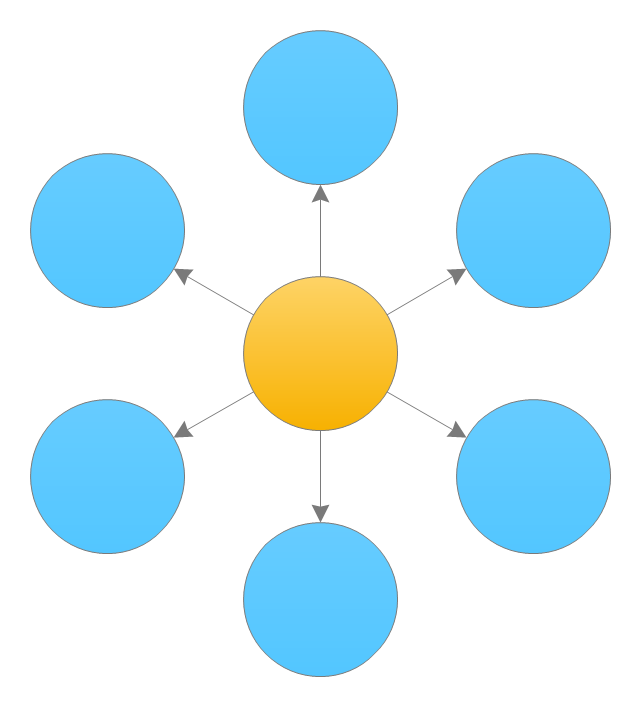 An example Hub Spoke Diagram (Dandelion) in SVG & PNG, created on Dragon1. For you it is extra easy to create a hub and spoke diagram because we have got a couple of templates of diagrams already available for you on Dragon1. Editing this hub diagram to another number of circles, shapes and colors for the hubs and circles is easy. Just click an item on the diagram and right click, select Add Circle or Change Color or Change Shape. On the Dragon1 platform you can enter data in the repository (database) and create a model with it. 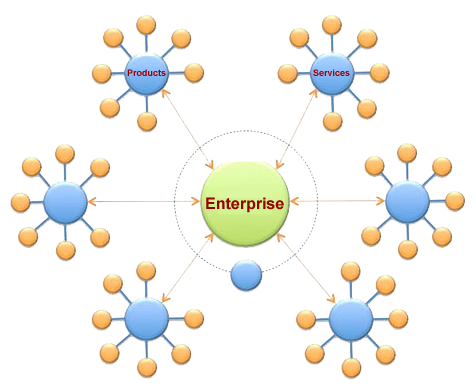 Next to link the model to a visualization template, like this spoke diagram template. Then, every time the data in de model changes, automatically the Spoke Diagram Visualization changes. This is how you create your own dynamic diagrams. Also you can create and share your own diagram templates for this purpose. On the Dragon1 platform you can also make a spoke diagram template clickable, showing popups with data from a model in the repository, or make it click-through to other diagrams or make dynamic views, have data filtered using certain predefined or entered user/viewer values.